Divorces come in all shapes and sizes. Most can be handled outside the courtroom, usually with attorneys through negotiations, in a collaborative setting, or with mediation. 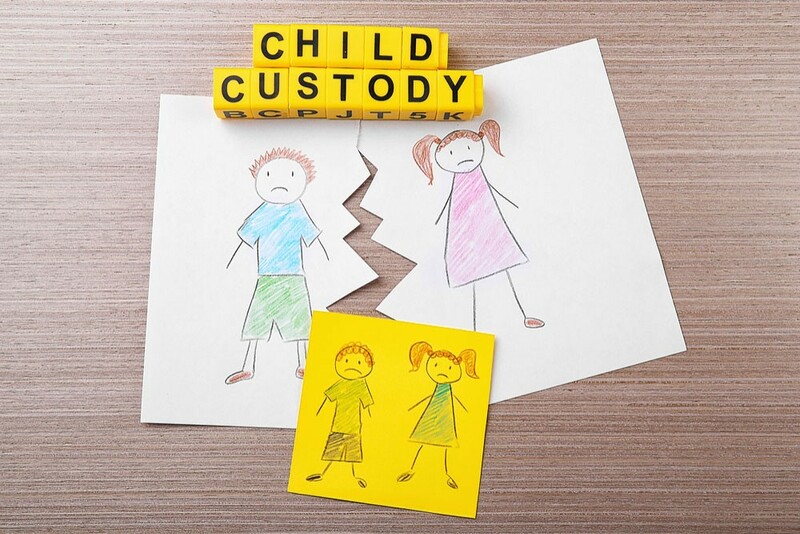 However, if your divorce is particularly contentious or you have real concerns about your partner’s ability to care for your children, then you may choose to fight for sole custody. Once you choose to take on that battle, what happens next? What do you need to keep in mind? How do you prepare for your custody evaluation and the entire process? And, most important, what shouldn’t you do? Once finances have been put in place, then it’s time to prepare for the evaluation. Here, you will enter a phase that Kouzi refers to as “litigation land.” During this time, every action you take—with or without the kids—will be viewed under a microscope, and your former spouse will look for any way to use that against you. Custody evaluators are mental-health professionals who help advise the courts on relevant issues such as mental-health, social, developmental, and educational concerns, or other areas that a court specifically requests be addressed. Their recommendations allow the court to make the best decisions with regard to custody and other disputed issues for the children’s short-term, intermediate, and long-term best interests. It is also incredibly important to be prepared. Deborah and Shauna, two Solo Moms who recently experienced custody evaluations, agree that documentation was an essential component. Both women maintained detailed notes about their activities with their children and interactions with their former spouses. They also prepared for each evaluation by developing key talking points to make sure that the evaluator received all the necessary information. It is important to not only share your story but also appear fair and balanced. When speaking with an evaluator, be up front about your strengths and weaknesses as well as those of your ex. The evaluator is also looking to determine who is the more balanced parent. If one parent’s perception is singularly negative, then the evaluator may draw the conclusion that that parent will not help the children foster a good relationship with the other parent. Even though Deborah had serious concerns about her ex’s mental fitness to care for their children and what long-term damage he may cause, she also made sure to point out the positives. His skills in the kitchen and ability to change a diaper or kick a ball were all positives she mentioned to the evaluator. She also pointed out her own faults, and she was careful not to lie. At some point during the process, most evaluators will observe each parent’s interactions with the children. Based on the age of the children, they may interview them as well. The process of an evaluation can be invasive and scary. Deborah and Shauna explained that they were terrified throughout the process—leaving the fate of your children in the hands of a stranger is not easy. Kouzi, Abrams, and both women all agree that it is necessary to have your own mental-health professional during the process. The final pieces to the evaluation process are evidence and collateral witnesses. Deborah spent days meticulously organizing e-mails, journal entries, and letters of recommendation in a binder for her evaluator. Similarly, Shauna regularly documented her ex’s behavior and her time and activities with the children to prove that she was the primary caretaker. Evaluators also ask for collateral witnesses, and it is important that they be as neutral as possible. An educator, child-care provider, or therapist are better choices than your mom or childhood best friend. Choose wisely—these people may be able to provide a new perspective that the evaluator could find helpful. Once the evaluation is complete, the evaluator will create a report that details the interactions with each parent and the children, in addition to information from collateral witnesses. The report will include a custody recommendation based on the best interest of the children. According to Kouzi, most people settle once the report has been issued. The recommendations are usually a guideline for how the couple will settle their divorce. But there are occasions when the case does go to court. Often, the evaluator will testify. Trials are financially and mentally draining, and Kouzi recommends that parents dig deep and face the reality about themselves before they commit to that process. Finding a way to work together amicably is always in the best interests of the children and the parents. *Always seek and follow the advice of your attorney.